In 2013, a third party study showed Sabre found the lowest fares. 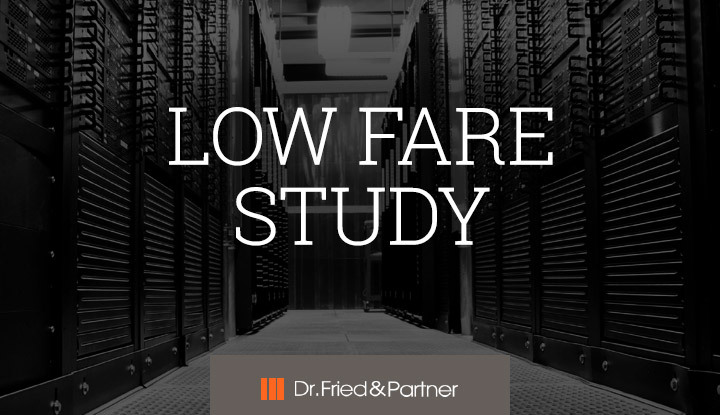 This year’s low fare study demonstrates we did it again. You’ve heard others make the same claim recently (at a regional level). However, our track record of consistent low fare performance, globally and regionally, speaks for itself. We've upped the ante from last time by adding more points of sale regionally to make this study even more comprehensive. And the results haven't changed: we still find the lowest fares.  The global study looked at the performance of the following air shopping technologies: Sabre Bargain Finder Max℠, Amadeus Master Pricer Travelboard ™, and Travelport Super Best Buy. It was conducted in the first quarter of 2016 in 31 countries with 100 top-booked origins and destinations per country. 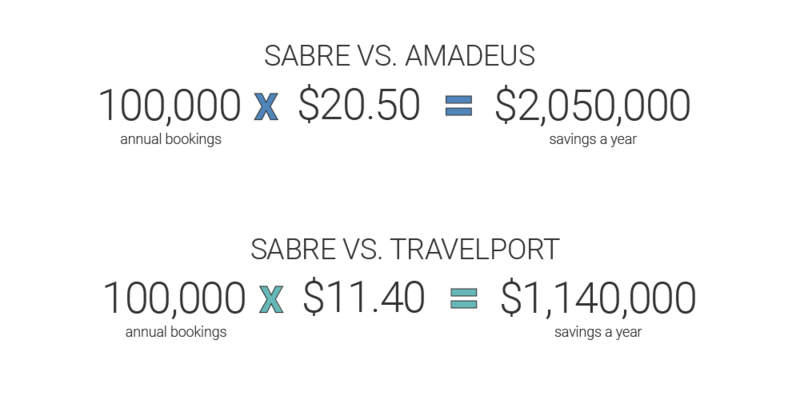 8 advanced purchase/length of stay combinations representing typical corporate and leisure traveler profiles were shopped simultaneously… almost 25,000 possibilities!  Sabre Bargain Finder Max ℠, Amadeus Master Pricer Travelboard™, and Travelport Super Best Buy are subject to trademarks owned by Sabre, Amadeus, and Travelport, respectively. Sabre beat Amadeus and Travelport in finding the lowest fares. With travelers being more informed than ever, it’s also important to find the option to best fit their needs: lowest fare + right itinerary + right amenities. The more attractive options a GDS generates, the higher the likelihood customers will find an option that drives them to book. Sabre consistently delivers the lowest fares with a large selection of attractive flight options. This means our high performing shopping system provides you with significant flexibility to tailor results to your business needs and travelers’ preferences. We invest millions of dollars each year to reduce the complexity of shopping and enable a great shopping experience for you and your travelers – giving you the flexibility to shop for travel the way you want. You have been on this site for 1 seconds.  Press the button below to calculate the number of low fares Sabre can find in this amount of time.  Count on Sabre as your technology partner to find the lowest fares and help drive conversion.